← Caption Contest 109: Stanky! 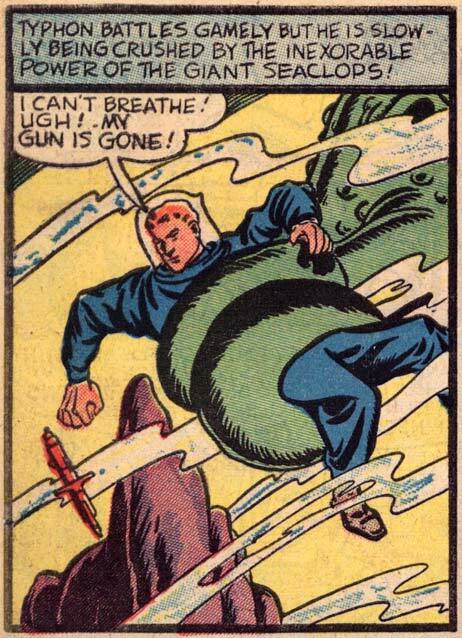 Perhaps the team thought the thought bubbles would be misconstrued as air bubbles…? Waitaminnit… How tight around the wrists are those cuffs? I love it when heroes in space wear pickle jars on their heads! Someone should tell him that if he undbends his arm he could easily reach his gun. Apparently the gun is more important than your LIFE!